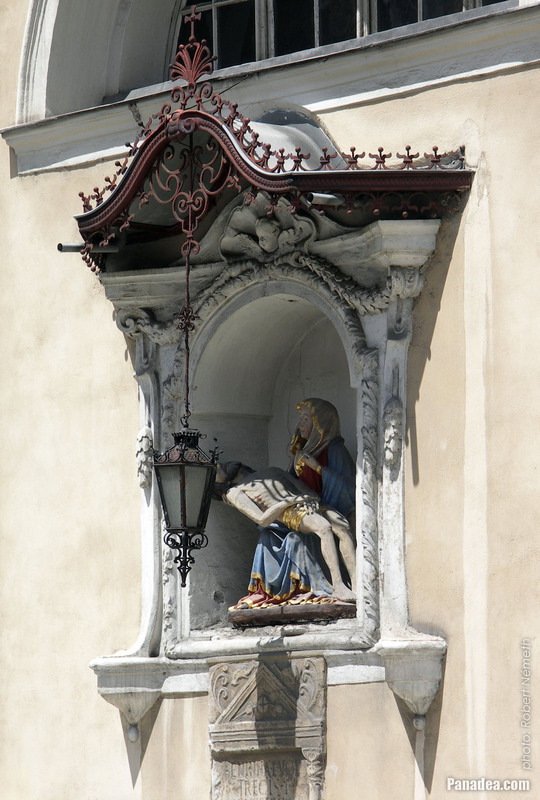 Probably a copy of a statue that was on the former gothic church. 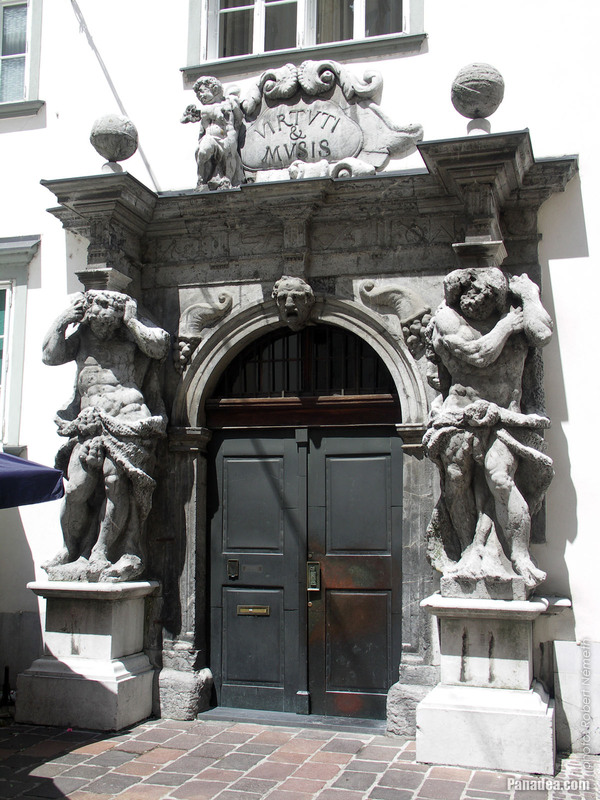 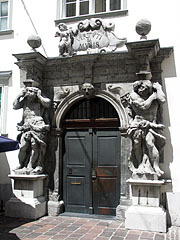 The building was built in 1701, and its doorway was created by Andrea Pozzo in 1714. 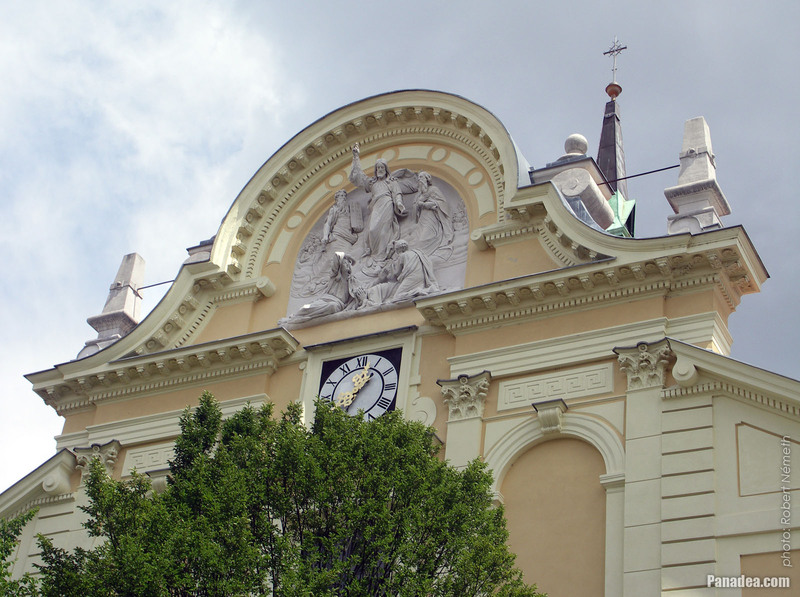 It was built in 1873, survived the big earthquake in 1895, and finally it was rebuilt in Vienna secession style in 1904. 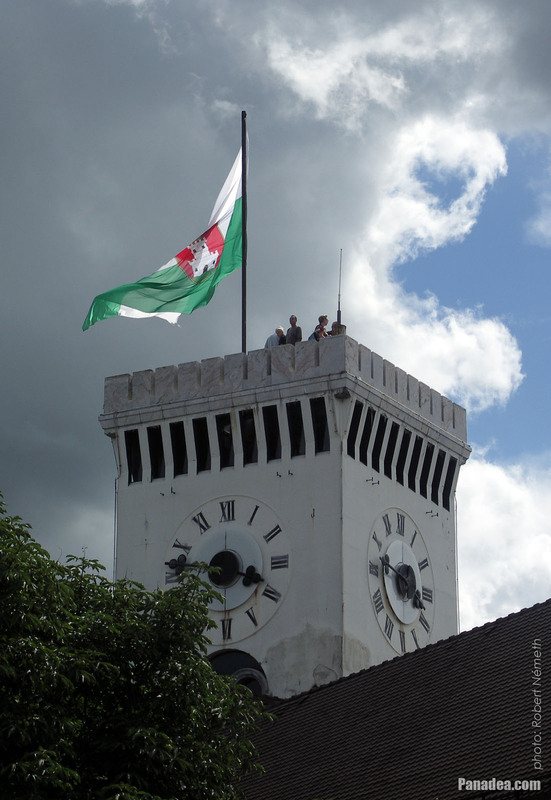 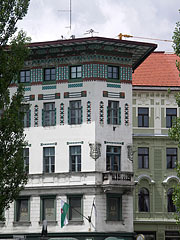 Designed by Jože Plečnik, built in 1931. 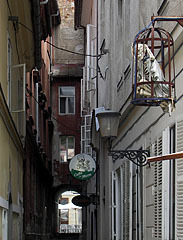 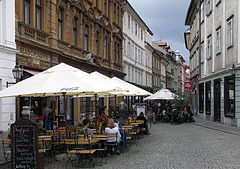 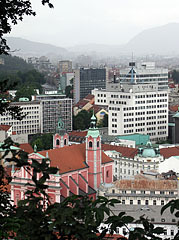 The Plečnik's arcades was designed by Jože Plečnik, built between 1940-1944. The bridge consists of a cast-iron grid structure elements, it was built between 1888-1901, architect: Jurij Zaninovič. 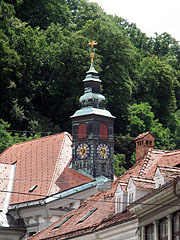 The church was built between 1613-1616. 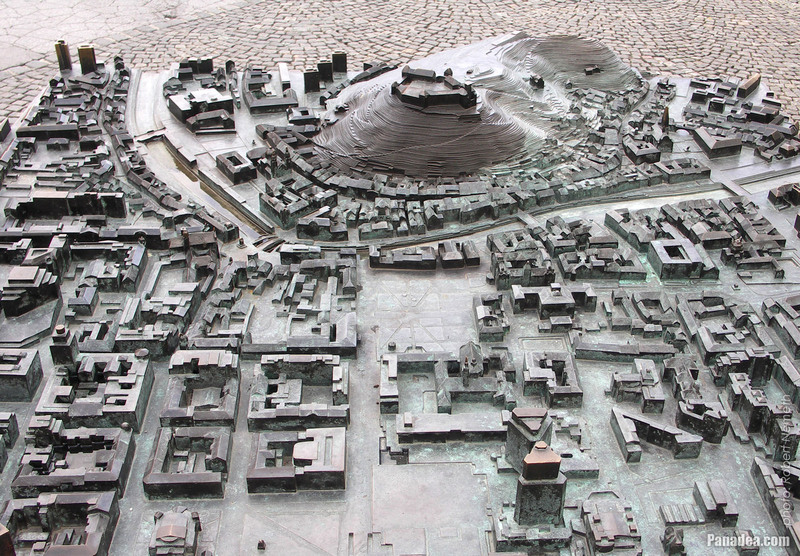 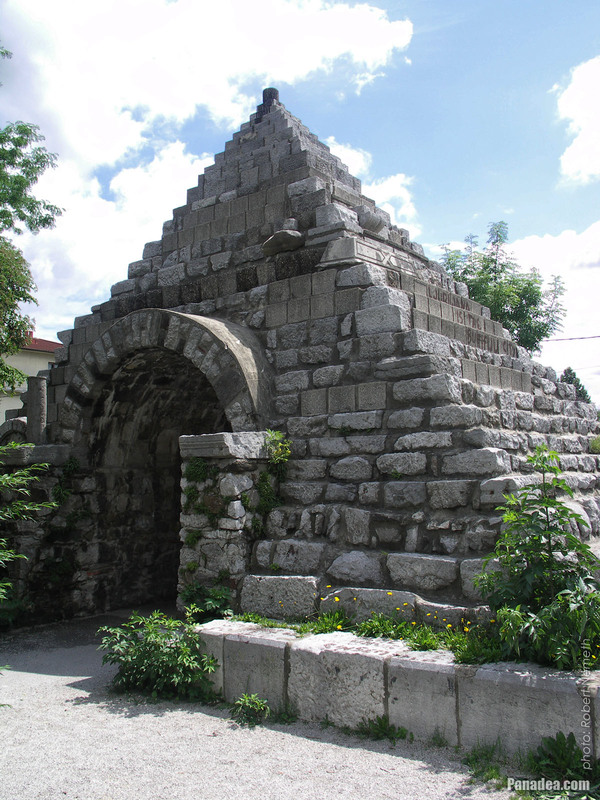 The ancient Roman wall was built by Emperor Augustus in the early 1st century, as well as the stone gate was designed by Jože Plečnik and built in the 1930s. 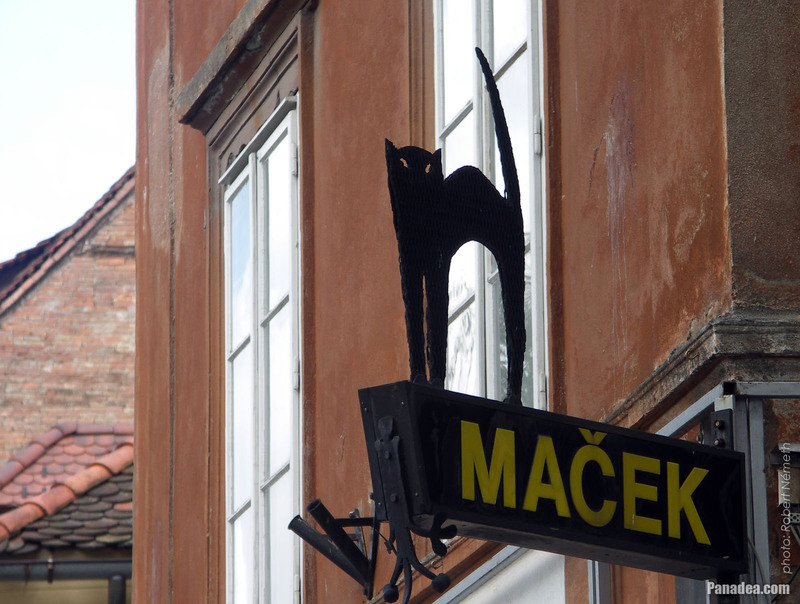 The building was designed by Gregor Maček, built in 1718. Until 2007 the cars were allowed to pass through the bridge, since then it is a footbridge (pedestrians only). 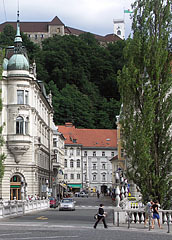 The Tromostovje or Triple Bridge in the town center of Slovenia's capital city is situated on a place which was a crossing point already since 1280, but that was just a wooden bridge. 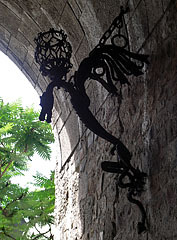 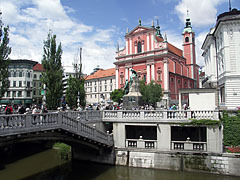 This first bridge was destroyed by the fire of 1657, but it was then rebuilt again. 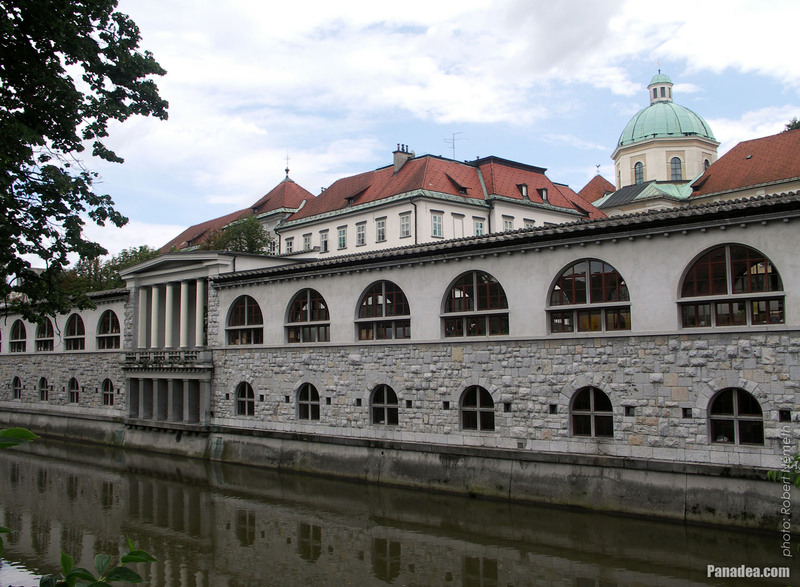 The new stone bridge was built then in 1842, designed by the Italian architect Giovanni Picco. It was made mostly of Glinica limestone and concrete, at that time it was called Franz Bridge or Francis Bridge ("Frančev most") after Archduke Franz Karl of Austria (1802-1878). 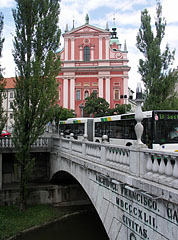 However, in the everyday language it is called simply the Franciscans' Bridge ("Frančiškanski most"), probably due to the Franciscan Church and Monastery that is next to it (and it also consistent with the name of the Archduke Franz Karl). 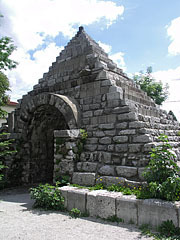 So this structure became the wider middle part of the present-day Triple Bridge. 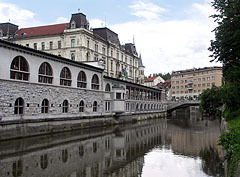 The two pedestrian-only side-bridges were designed by the Slovenian architect Jože Plečnik and his student Ciril Tavčar in 1929, the purpose was to reduce the narrowness of the crossing point. 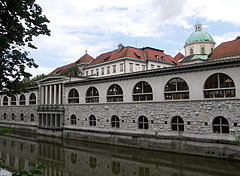 The footbridges were built finally between 1931-1932 and since then this bridge system can be rightly called Triple Bridge. 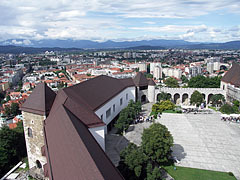 In 1997 the bridge complex had undergone major renovations, then in 2007 the car traffic was terminated also on the middle bridge and the pedestrians could take possession of the whole Triple Bridge. 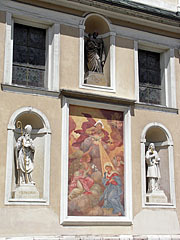 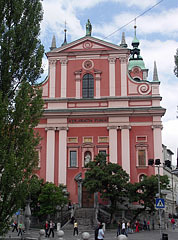 The Franciscan Church of the Annunciation ("Frančiškanska cerkev Marijinega oznanjenja") in Ljubljana is typical red painted and not by accident: the red color is one of the symbols of the Franciscan Order. 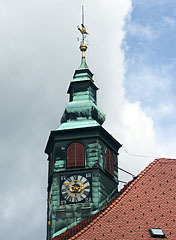 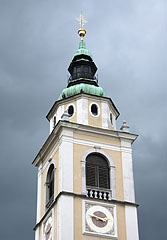 The church was built between 1646-1660, its bell-towers some time later. 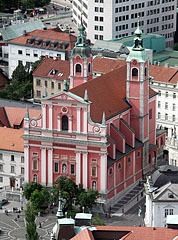 The structure of the baroque building follows the basilical layout: the single-nave church has two side chapels on both sides. 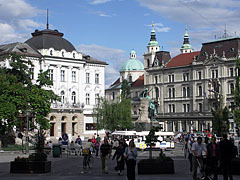 The Ribji trg (in English "Fish Square") is the smallest square in Ljubljana city, it is on the bank of the Ljubljanica River and it was created from a street with the same name (Ribja ulica) after the earthquake of 1895. 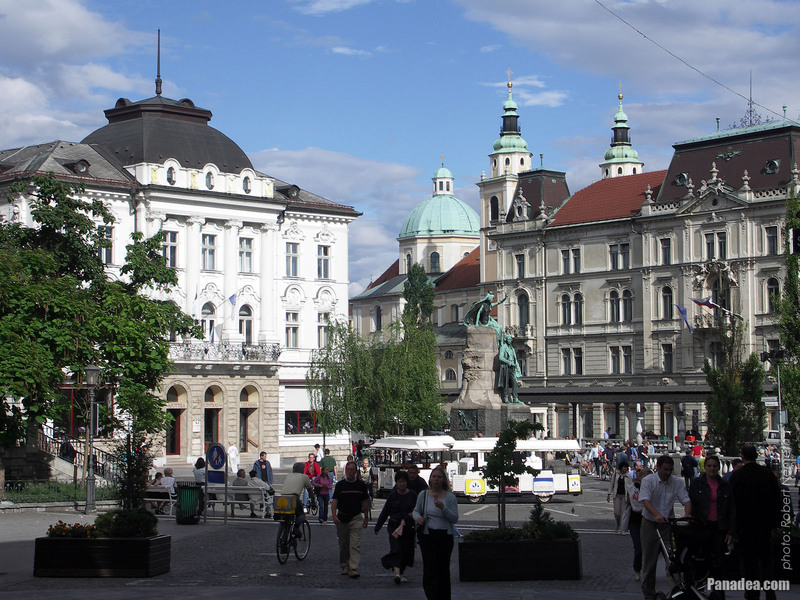 The square (and the former street) is named like this for prosaic reason: once it was the fish market of the city. In the middle of the square there is a neoclassical style drinking fountain and a statue on it from the second half of the 19th century, representing a lady who is pouring water from a jug. 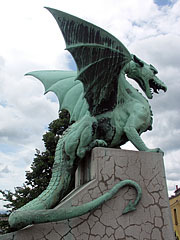 The theme of the fountain and the statue is based on the ancient Greek mythology. 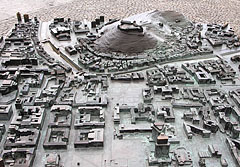 Is also confirmed by the three metal reliefs on the pedestal, which represent Poseidon, the god of sea and waters. 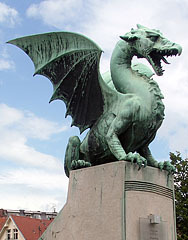 The fountain is here in the Ribji Square only since 1981, before this time it was placed in the garden of Tivoli Mansion (in other words the Tivoli City Park). 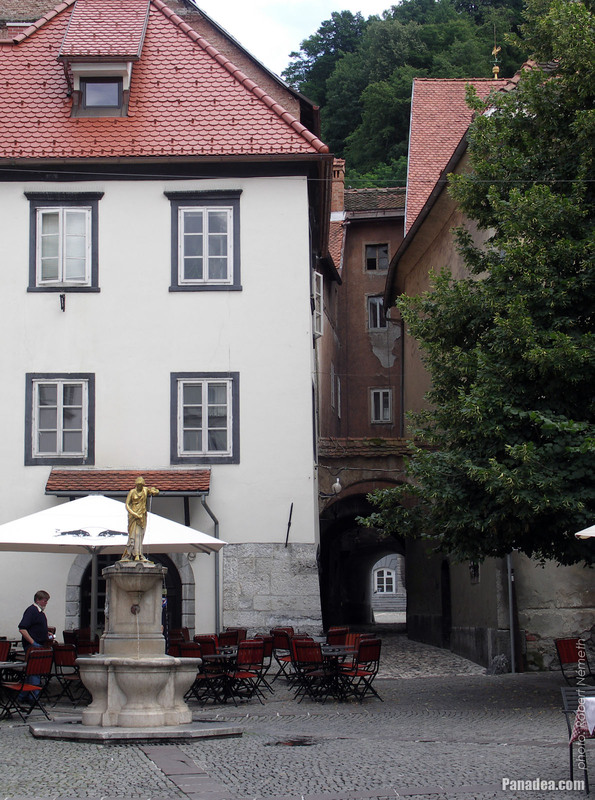 The tiny square has another record as well: here stands the oldest building of Ljubljana (2 Ribji trg), which was built in 1528. 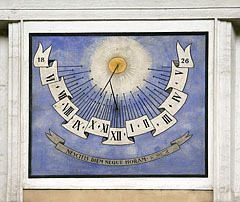 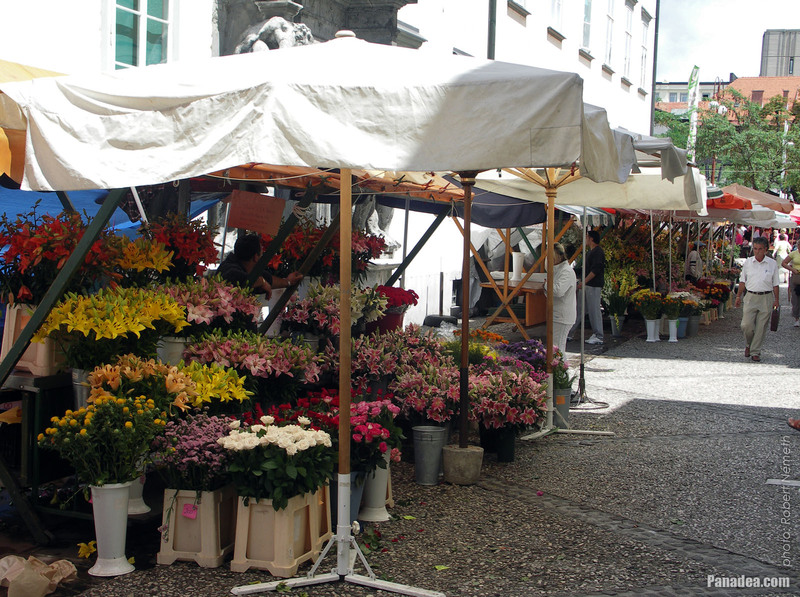 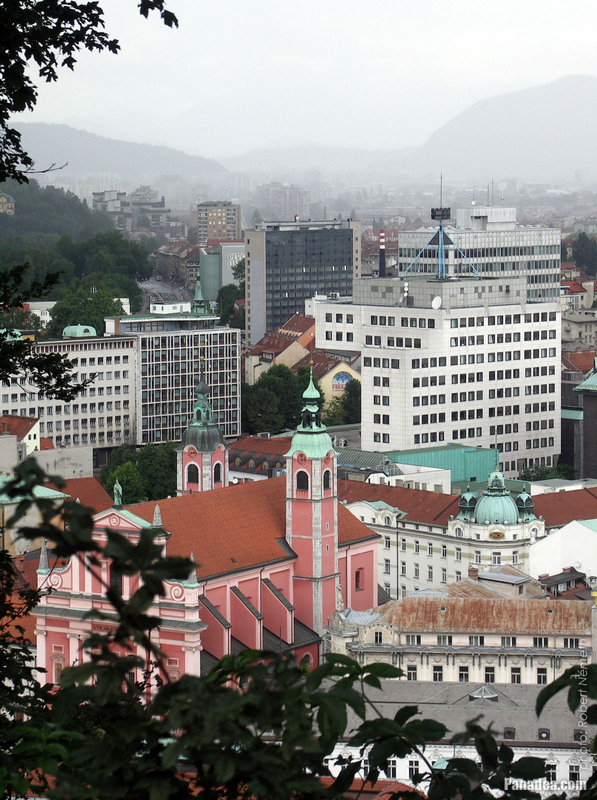 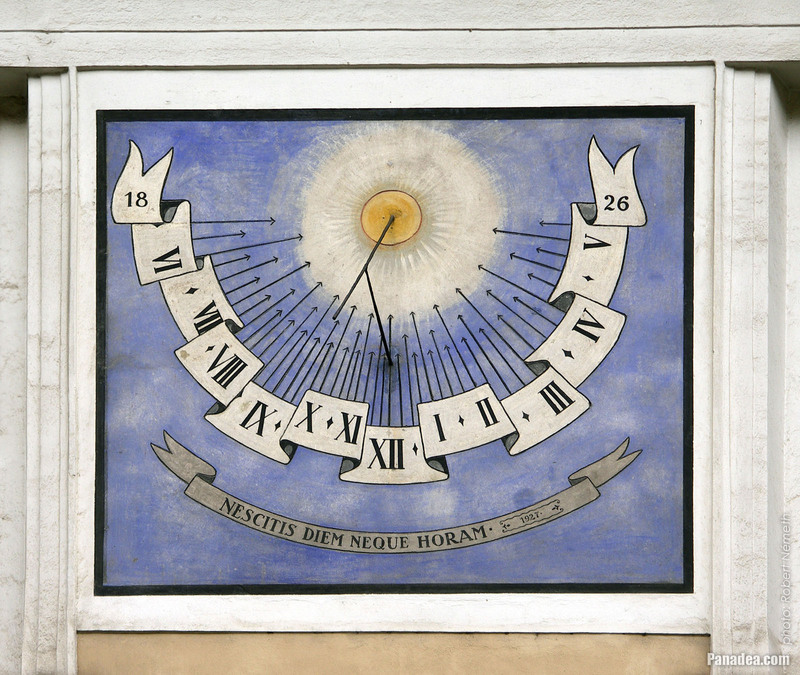 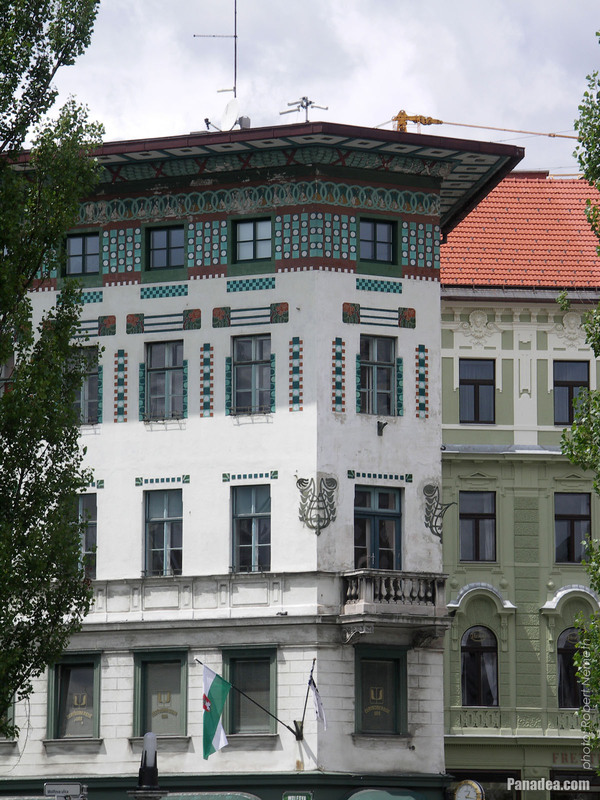 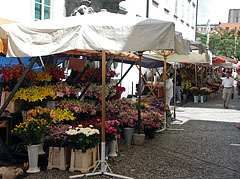 Initially the building was owned by Volbenk Posch who was a merchant and the major of Ljubljana. 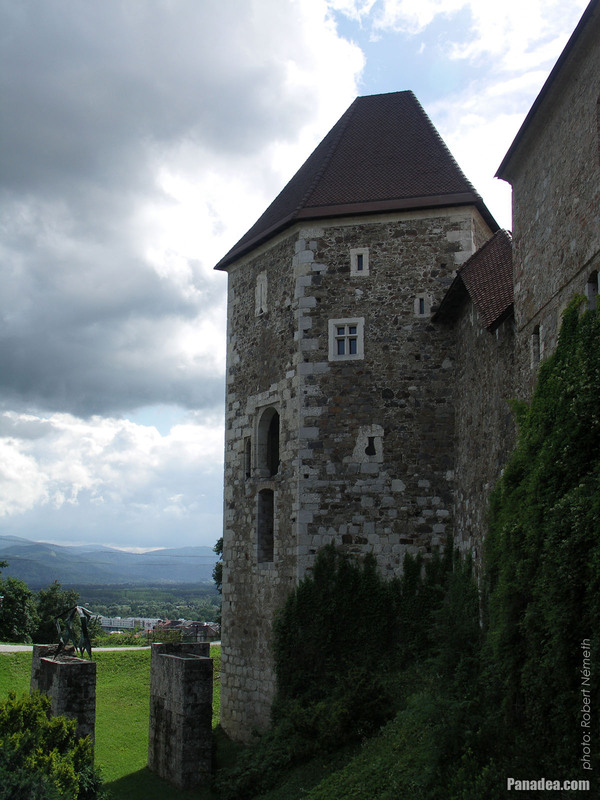 In 1562 here lived Primož Trubar, the leader of the Slovenian Protestant movement and the creator of the written Slovenian language. 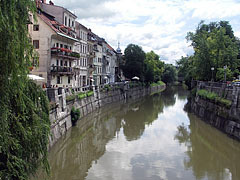 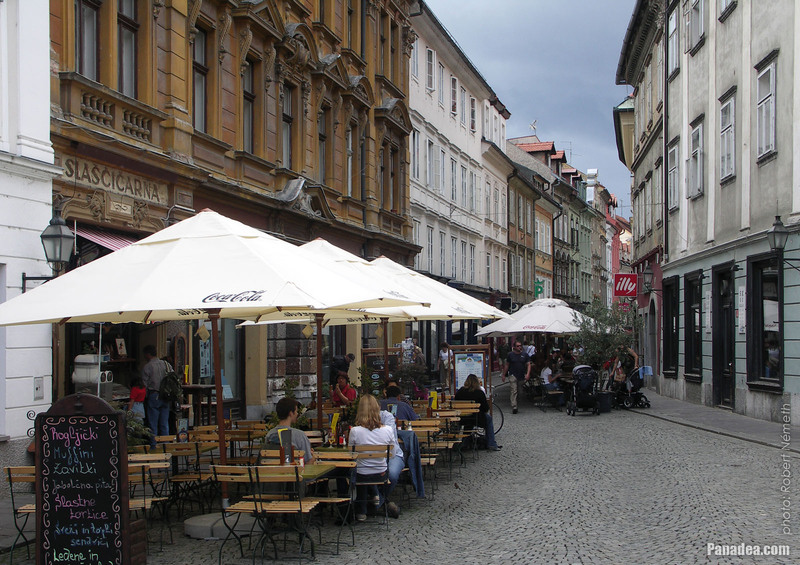 The Ljubljanica River that is winding through the capital of Slovenia was the prime target of the treasure hunters for a long time, and not by accident. Today this activity is already prohibited by law, but the artifacts found here were presented in an article in the National Geographic, the famous American magazine. In the river the archaeologists found among others ancient Roman swords, old Celtic coins, as well as other objects which were used in everyday life. 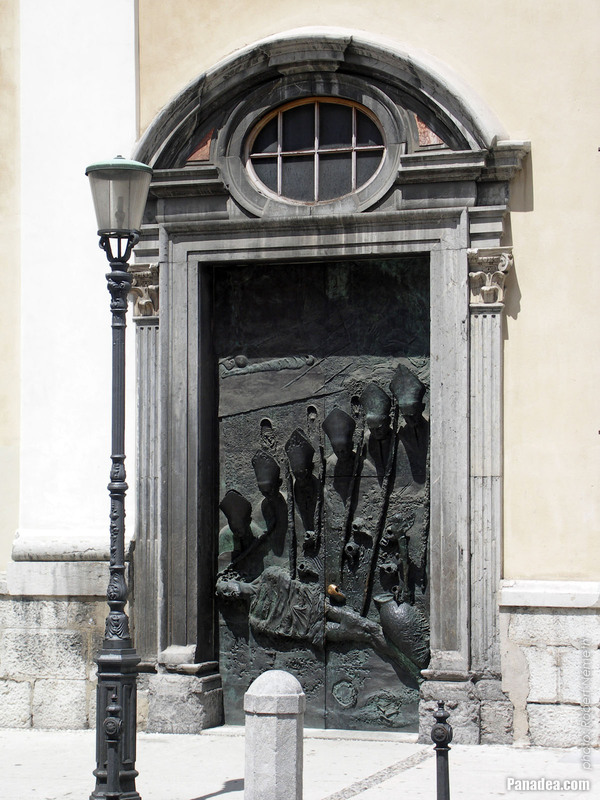 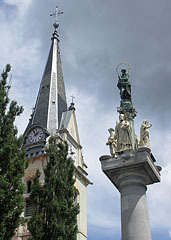 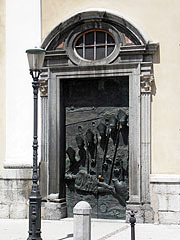 According to a legend the great Slovenian poet France Pešeren met Julija, the love of his life here at the Roman Catholic church of Trnovo ("Trnovska cerkev") in Ljubljana. Probably that's why this church is one of the most popular wedding venue in the city, although in truth the poet was died before the church was completed. 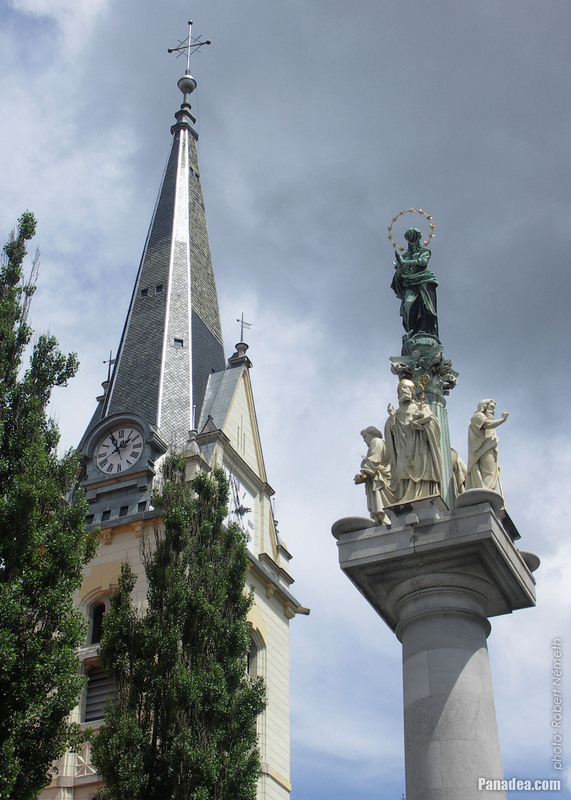 The major sights of the Trnovo Church or St. John the Baptist' Church are among others the beautiful altarpiece with the image of the eponymous saint, as well as a carved wooden sculpture of the Sacred Heart of Jesus Christ. 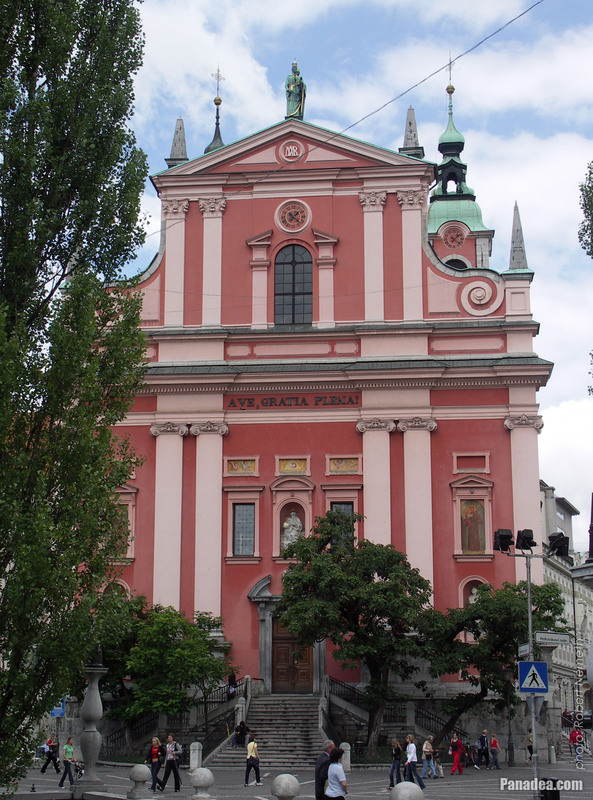 It is also worth mentioning the church organ from 1864, as well as the many artworks of the internationally renowned Slovenian architect Jože Plečnik. 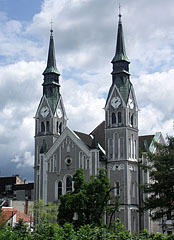 The church was begun to build in 1854. 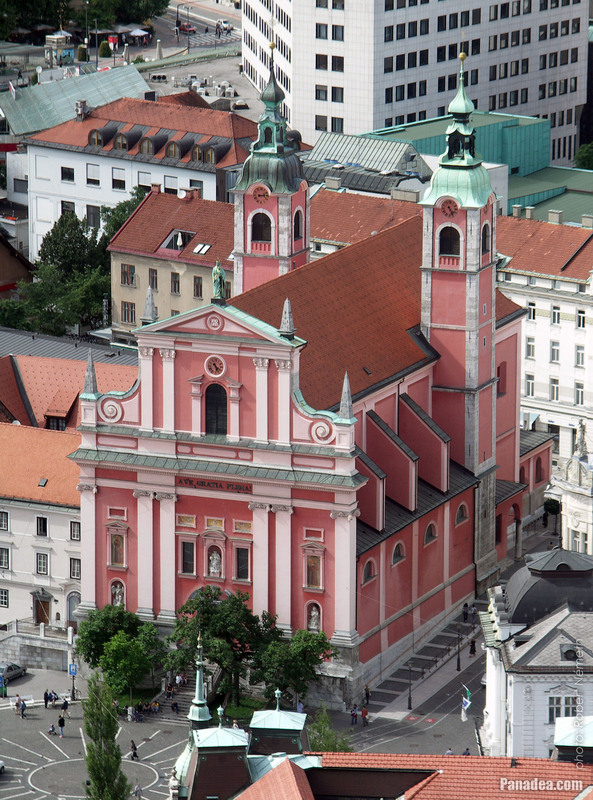 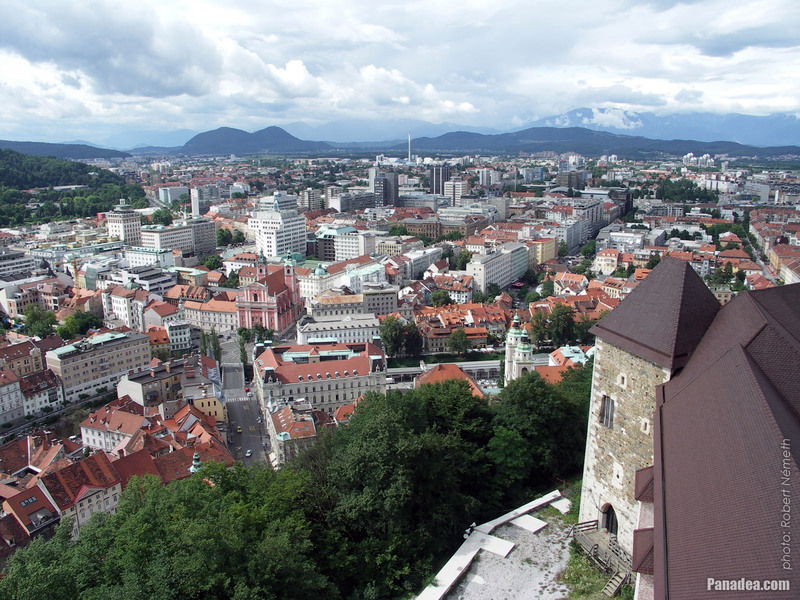 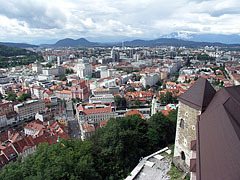 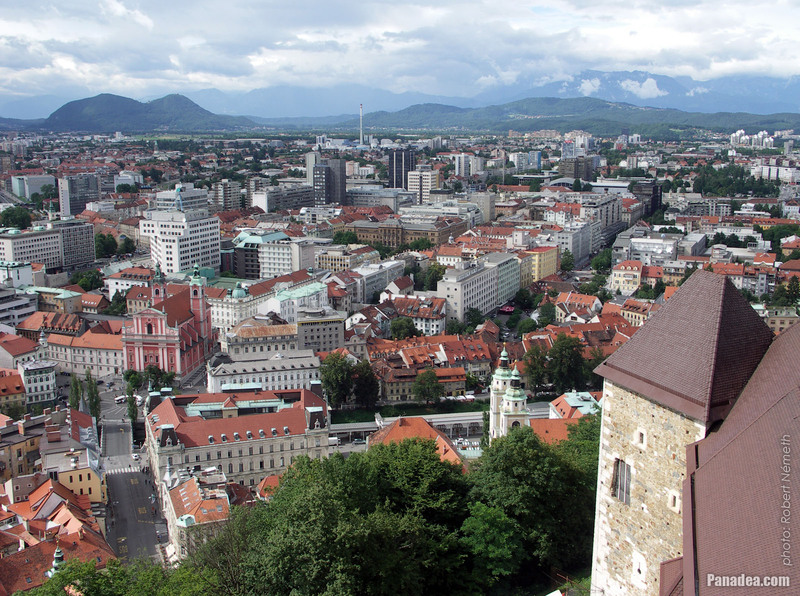 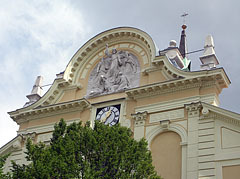 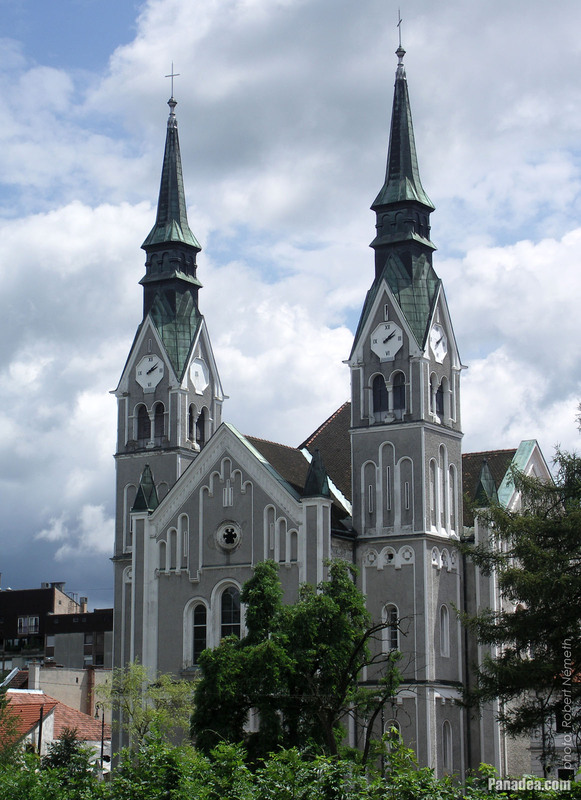 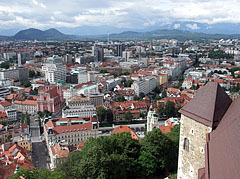 The great earthquake of 1895 did not spare Ljubljana, together with many other buildings in the city this church was also heavily damaged, so later it was practically completely rebuilt.